Asian Journal of Scientific Research is a peer-reviewed international journal dedicated to address the both applied and theoretical issues in the broad field of science and technology. Scope of the journal includes: Biology, chemistry, physics, zoology, medical studies, environmental sciences, mathematics, statistics, geology, engineering, computer science, social sciences, natural sciences, technological sciences, linguistics, medicine, industrial, and all other applied and theoretical sciences. Asian Journal of Scientific Research now accepting new submissions. Submit your next paper via online submission system. 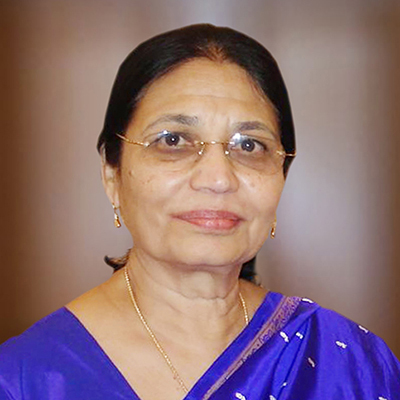 Dr. Kaiser Jamil is an emeritus Scientist, Principle investigator and the head of Genetics Department at BMMRC also Dean of School of Life Sciences at Jawaharlal Nehru Institute of Advanced Studies (JNIAS). He has published more than 290 papers in journals of repute and guided 32 research scholars for Ph.D. Her work on SNPs of drug metabolizing genes in cancers has been published in peer reviewed journals, unfolding the mechanisms of several genes and other genes which network with these genes, elucidated Drug-Gene interactions. She has also contributed on the role of some signaling pathways such as Tyrosine Kinase Inhibitors (TKI) and MAPK in Hematological Malignancies and HNC. Her research continues to unravel genotypes leading towards personalized medicine. Presently she is investigating the role of microRNAs is Cancer diagnosis and Gene-Silencing technologies. Publishing your research in Asian Journal of Scientific Research is simple and efficient. You will be guided through the submission process step by step. Before submission of your manuscript, it is strongly recommended to read Guide for Authors to minimize the chances of manuscript rejection.